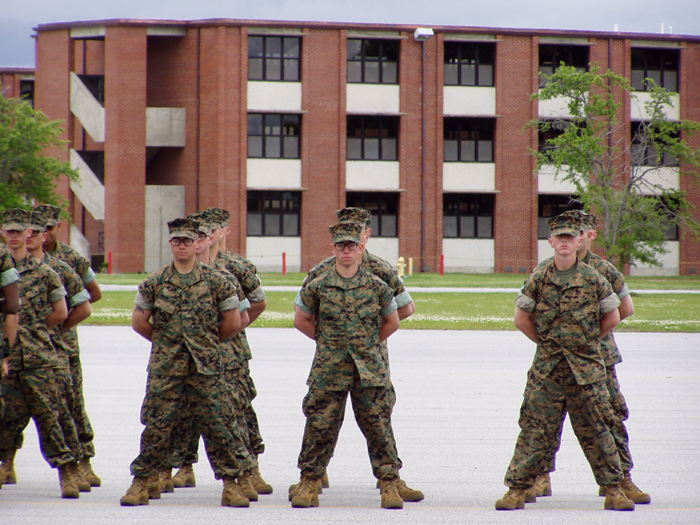 Marine LCpl. Peter J. Sora, Jr. - Run for the Fallen New Hampshire, Inc.
Marine Lance Corporal Peter J. Sora Jr.
19, of Londonderry, NH; died in a training accident at Twenty Nine Palms, CA. PJ”, as known to his family and friends, was born in Framingham, MA, a son of Peter J. and Gail. He was a 2002 graduate of Londonderry High School. PJ played trumpet in the Marching, Jazz, and Concert Bands. He loved all types of music. He was captain of the Londonderry High Wrestling Team. He was also a 1st degree Black Belt from the House of the Samurai. Despite showing toughness as a wrestler and a Marine, he was a pensive and sensitive young man, who loved his young nephews and nieces. PJ had always wanted to serve in the Marines and September 11th confirmed that desire. His half brother, Carlo was working at the World Trade Center, but was uninjured in the terrorist strike. PJ's mother Gail said the close call left P.J. surprised "they could come that close to hurting people he knew." "He wanted to protect the people he loved," she said. 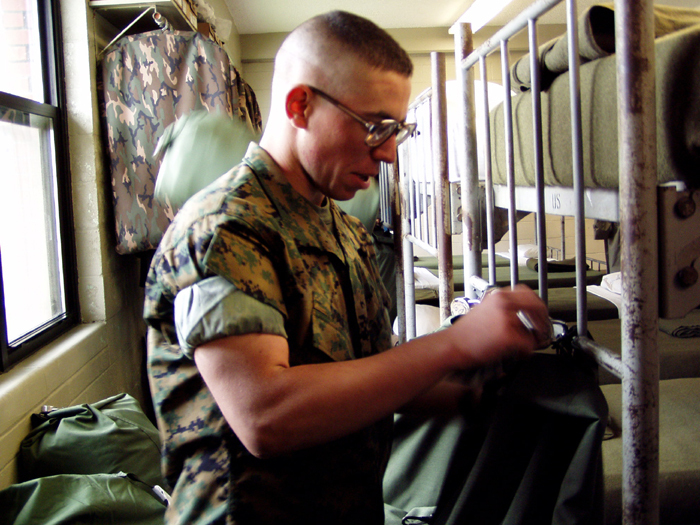 Shortly after high school graduation in 2002 - a month before his 18th birthday - PJ's parents signed the forms allowing him to join the Marine Corps. He had approached them as early as age 16, but at that time, his mother said, she could not allow herself to give her blessing. PJ spent the fall of 2002 at the University of Southern Maine, but quickly decided it was not where he wanted to be. In January 2003, he began boot camp at Parris Island, S.C., as a Marine reservist. That summer he worked at his father's workplace in Derry. He spent that summer feeling he was letting down the active-duty "brothers" he'd trained with. During the fall of 2003, he assisted at the Marine Corps recruiting center in Manchester, was very involved with Marine affairs including the Marine Toys for Tots and the Recruiting Command and was also involved with various Honor Guards and Color Guards including a Color Guard for Senator Sununu at his military academy’s reception. It was not enough to satisfy his desire to serve. He filed papers that fall to go to active duty, and was formally activated March 15. PJ understood exactly what he was getting into, his mother said. He readily admitted to a degree of fear over the possible consequences of his decision to serve, but his father, Peter Sora Sr., said PJ knew the importance of that service. "He joined to serve his country," his father said. "He felt if you joined for any other reason, you joined for the wrong reason." . PJ was deployed to Camp Pendleton in April 2004 as a Lance Corporal, where he served as an assistant machine gunner for the unit. His father drove across country to CA with PJ. He said his wife, Gail convinced him to make the drive with their son, who couldn't bear parting with his cherished red pickup truck. Sora Sr., a Navy veteran himself was well aware of the dangers his 19-year-old son would face in his new life as a Marine, but never could have expected him to be killed two weeks later. PJ was killed when the Humvee he was on top of as a machine gunner rolled over during a training exercise. "I thank my wife for that opportunity," he said, referring to the hours of conversation he and his son shared during their journey. " PJ's unit was training just before being deployed to Iraq. His father said, "He's one pissed off Marine in heaven having missed his deployment with his fellow Marines." But we all know that PJ was there in spirit fighting alongside his brothers in Falluhjah and Ramadi. His awards include the National Defense Service Medal. PJ is survived by his parents Peter J. and Gail A. (Chilson) Sora Sr. brother Carlo Macchi, sister Melissa Macchi and his extended family.